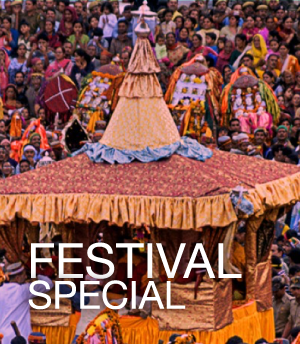 Dusshera is the time when you witness the festival on a grand, international level in the Kullu town. With over 500000 turnover of visitors from across the globe. The festival is celebrated over the period of 7 days with a huge fair. You can feel a more than a slight chill in the air and it is the perfect time to enjoy the beginning of winters. The nature around Sojourn Homes & Cottages introduces autumn to our guests during the season, where at a later stage, you witness some good snow fall outside with cosy rooms fitted with heaters, all set for cosy night outs and great exploring during the days. Festive Season offer valid during 1st October – 15th December 2017 only. Please get in touch for further enquiries. Terms & Conditions applicable for all Packages.